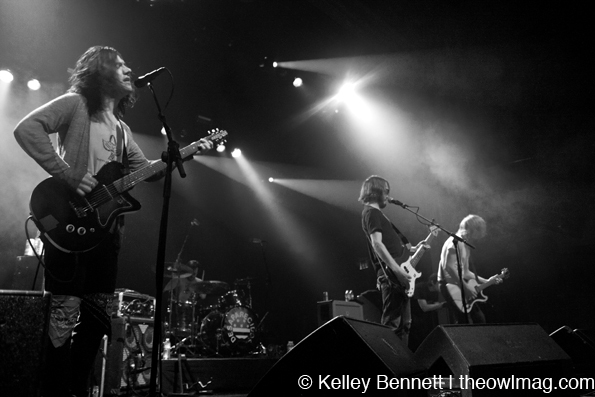 On an unusually warm Wednesday night in San Francisco, the recently reunited Desaparecidos stopped by the Regency Ballroom. 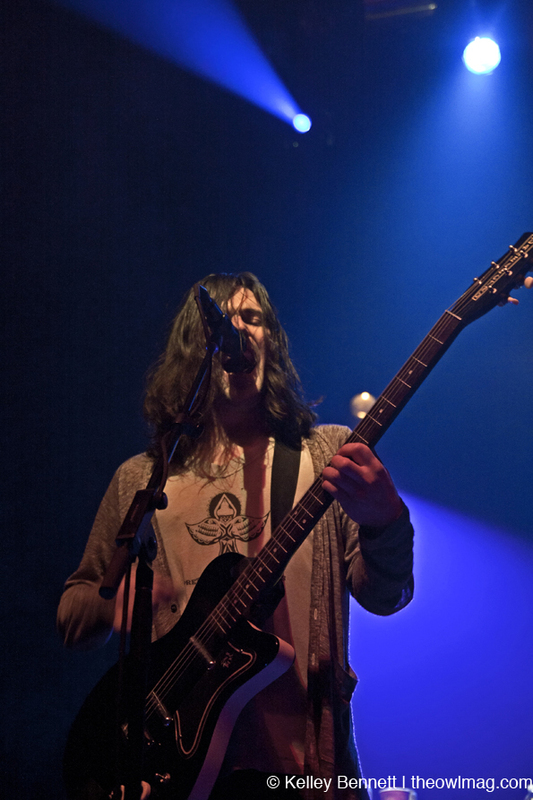 Embarking alongside them on this special string of shows were The Velvet Teen, an exceptional trio from Santa Rosa known for combining baroque pop and distorted guitars to make one delightful package. Fronted by the very entertaining Judah Nagler, who, on several occasions, voiced his enthusiasm to be playing at the Regency for the first time ever. TVT were peppy and full of energy, opting to perform their more upbeat songs, such as “Tokyoto” and “Radiapathy,” rather than the extensive, orchestrated compositions they’ve created in the past. 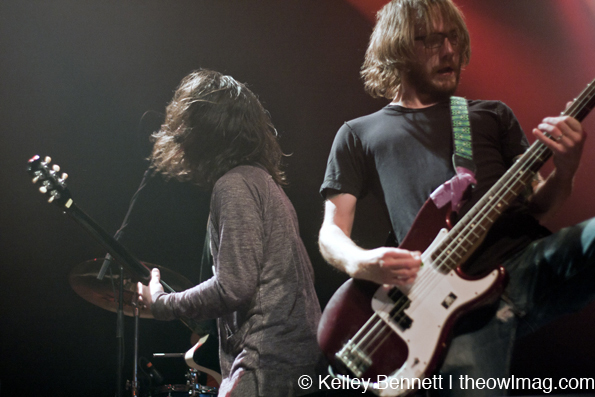 Then it was time for Desaparecidos, also known as the musical antithesis of Conor Oberst‘s much more well-known project (you may have heard of them, they’re called Bright Eyes). 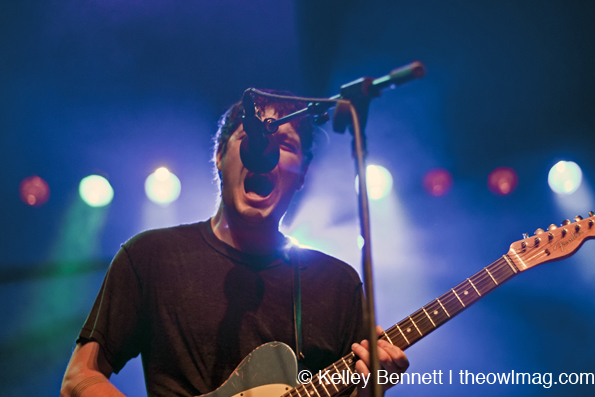 Loud, grungy, and raucous, the band certainly hasn’t lost its stride during their extensive hiatus. 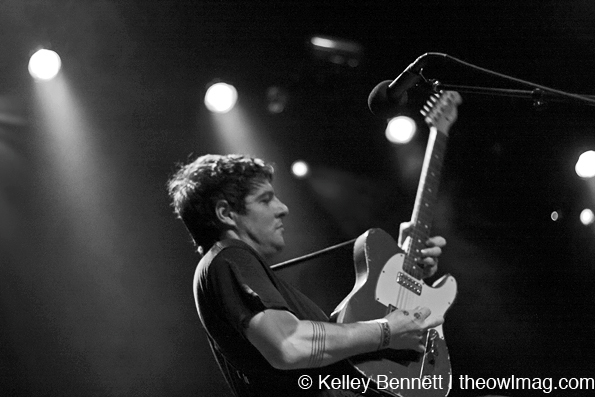 It’s been a full ten years since the group’s sole LP Read Music/Speak Spanish was released, and there’s no question the songs have aged quite well; by the time the band took the stage and broke into the first notes of “Greater Omaha,” the Ballroom was packed with a mass of fans chanting Oberst’s sly social commentary right back at him. When the band wasn’t rocking out and thrashing around (judging from this show, we’re convinced there exists a correlation between hair length and musical awesomeness), Oberst took some time to deliver several brief speeches about the current political state of the United States, giving his take on President Obama, Arizona’s immigration laws, and Occupy Oakland, even dedicating a new song to East Bay’s infamous Occupiers. After a pleasant set of tracks from Read Music as well as brand new songs, we were blessed with a three-song encore that included a rendition of The Clash classic “Spanish Bombs.” We must admit, we never thought we’d be able to witness Desaparecidos in action, but luckily, they’re just as strong as ever.